The second type of change is transitional change, which involves implementation of a known new state and management of the interim transition state over a controlled period of time. This type of change is introduced to cause an organization to evolve slowly, so that current ways of doing things are replaced by something new. Management of transitional change is more complex and may include launching several new processes at once, analyzing risk and uncertainty, and looking after the needs of the change recipients. Transformational change is the most radical type of change. It is catalyzed by a change in belief in what is possible and necessary for the organization. Unlike transitional change, the new state is usually unknown until it begins to take shape. Most of the variables affecting the change are not to be controlled, rushed, or short-circuited. Transformational change often is initiated when other options appear to have failed. It is typified by a radical reconceptualization of the organization’s mission, culture, critical success factors, form, and leadership. 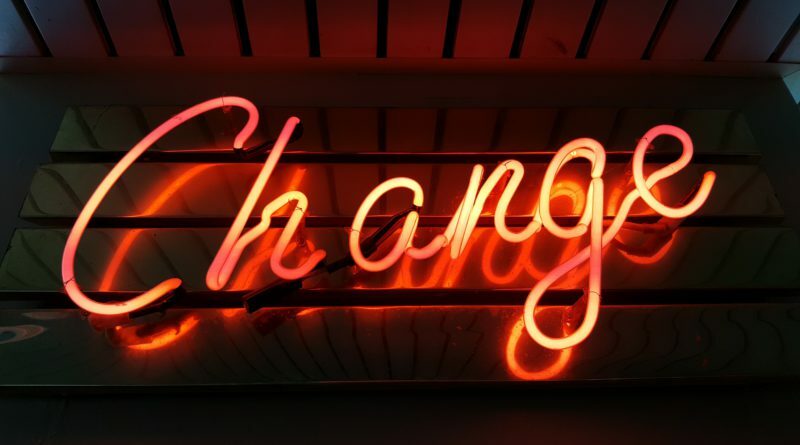 It is often very difficult to proactively manage transformational change because it may be more important to react quickly to opportunities and threats than to develop and execute a detailed change plan. A number of key variables should be addressed to maximize the effectiveness of the change. First is pace. How long will it take to design the change plan or program? How quickly should the change unfold? How much accommodation should be made for trial and error learning? Related to pace is the second key variable, scope. Should the change start small and grow, or should it start big? If it is to be piloted – where and with whom? If the decision is to start big, issues of depth arise. How many changes can be introduced in any one area at once? Blitzing an organization with a large number of consistent changes may ensure maximum impact. However, there is a limit to how much change can be absorbed before resistance is mobilized. Publicity is another variable that must be addressed in managing change. How loud, how long, and to whom should the organization announce that change is on the way? A “hype” approach may create clear reinforcement and motivational cues. A quiet, understated introduction, which moderates expectations, allows for mistakes in learning may control the potential for resistance. Another change issue is supporting structures. What mechanisms does an organization have, or need to put in place, to further the change effort? A final issue to be addressed for an effective change process is deciding who drives the change. In the classic approach, the CEO or senior staff person is the change leader. A second classic approach is the reverse: The need for change is envisioned from deep down in the organization and implemented upward or outward. A third approach uses an outside consultant as an implementer. Managing change includes managing the reactions to that change. There are many reasons that people psychologically defend against change. There may be inertia, habit, and comfort with the known way. Collective interests in preserving the status quo can block change efforts. Change may also be seen as an indictment of previous decisions and actions. In addition to psychological reasons for resisting change, there may be legitimate philosophical differences of opinion. Successful organizations undertake an integrated approach to change management. This happens when envisioning, implementing, and receiving change are seen as fundamentally related activities. While major change is important, the long-term success of the enterprise depends on continuous, ongoing change.